On November 10, Pink Floyd will unveil The Endless River. And, above, you can hear ‘Louder Than Words,’ the first track released from the album. It's the only vocal track on an otherwise instrumental LP. 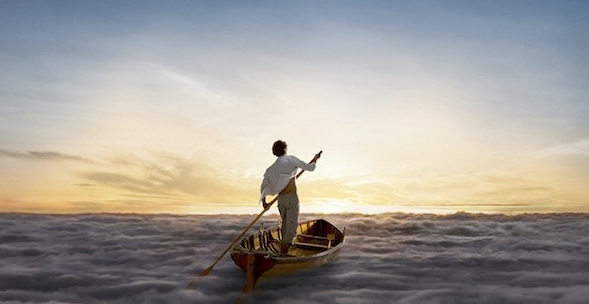 The Endless River is the band's first album since 1994's The Division Bell. And it's apparently going to be their last. In the second clip recorded by the BBC, David Gilmour talks about the concept behind The Endless River, how they wrote "Louder Than Words," and how, especially with the death of keyboardist Richard Wright, it's going to be their last creative effort. "I think we have successfully commandeered the best of what there is. I suspect this is it." The Endless River can be pre-ordered on Amazon or iTunes. I love it! David Gilmour has always and will always be my all time favorite musician and Pink Floyd has always been one of my favorite bands. Their music is amazing! I can’t wait for this new album!